Carmen Lobis wants to make guns safer, and he has a very personal reason. 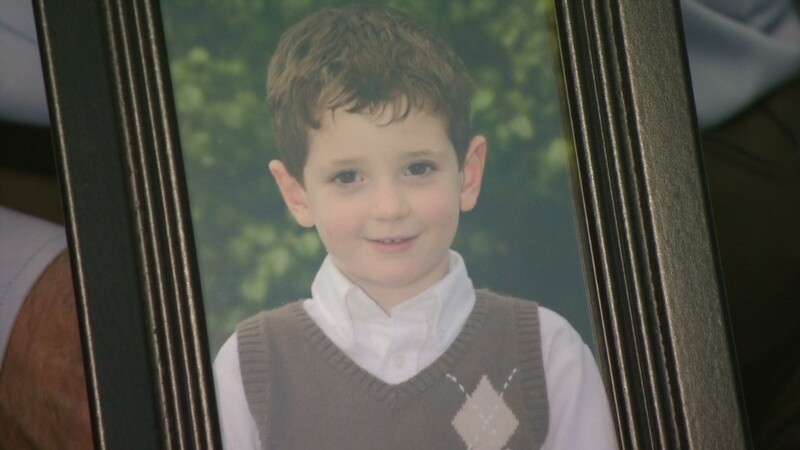 His 6-year-old grandson, Ben Wheeler, was one of 26 people killed in the December 2012 shooting at Sandy Hook Elementary School in Newtown, Connecticut. As a way of helping memorialize Ben's brief life, Lobis has launched a crowdfunding campaign to finance an idea he hopes will protect others: a biometric locking station for firearms. The idea is that guns would be stored in a carrier that could only be unlocked by their owner's fingerprint, making it difficult for intruders or children to get hold of them. Along with business partner Ben Tomb, Lobis hopes to raise $100,000 to build the technology, called Protector XT. Lobis, who invests in startups, met Tomb by chance following the death of his grandson. Tomb was building out biometric technology aimed at gun safety. He shared the same first name as Lobis's grandson. "I do believe in divine intervention, and I thought my Benny introduced me to this Ben," said Lobis, who lives in West Chester, Pennsylvania. The venture became deeply personal for them both. Tomb had lost a family member in a firearm accident, and Lobis, who was grappling with the death of his grandson on a daily basis, was determined to turn the idea into a reality. "It's really my attempt to memorialize his history," Lobis said. "He was with us 6 years, a great 6 years." Through technology, Lobis and Tomb want to build safer systems for storing and handling guns. Safe gun tech may sound like an oxymoron, but a number of entrepreneurs are using technology like biometrics to make it more difficult for the wrong person to get hold of a firearm. It's also become a Silicon Valley initiative. In February, prominent tech investors launched the Smart Tech Challenges Foundation to encourage entrepreneurs to build out this type of technology. "There's thousands of gun accidents a year, and I do think it's high time that the tech industry step in and use innovation to go solve yet another big problem that exists in society," investor Ron Conway told CNNMoney. "Technology has transformed the way that people communicate with text messaging then email, then all kinds of forms of messaging," added Conway, who is spearheading the challenge along with longtime entrepreneur Jim Pitkow. "Why don't we use that same innovation and ingenuity on gun safety?" The National Rifle Association, via posts on the website of its lobbying arm, the Institute for Legislative Action, views smart-gun technology with suspicion, fearing it will be co-opted by gun-control advocates. But there's another big hurdle: money. It's expensive to build the technology, and entrepreneurs have struggled to take a smart-gun idea to mass market. The Smart Tech Challenges Foundation will award a total of $1 million to teams with the best proposals for better safeguards. Along with funding, they'll receive resources to bring their idea to life. Lobis and Tomb have applied for funding. Lobis is first to admit the process isn't easy. He often calls on his grandson's memory for inspiration. "Some days are tougher than others, I ask him, 'Hey help me out here. I'm doing this for you, and there are some things I'm not sure how to proceed on,' and typically he responds in some way," Lobis said. Lobis describes his lost grandson as creative and curious with an energy level that was "full on or off." In other words, traits valuable to any entrepreneur. "I said Ben is going to create great things," Lobis said, tearing up. "I just thought it would be while he was alive."